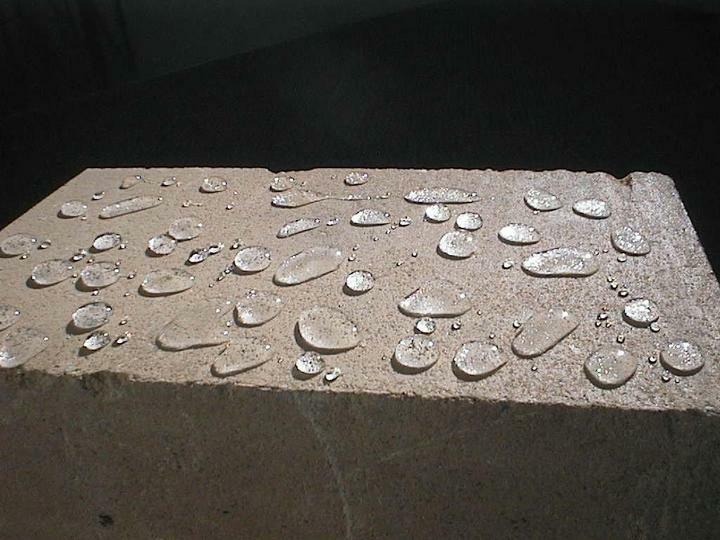 Tech-Dry Solid Silane 80 treatment of reinforced concrete is a proven way of protecting reinforced concrete from corrosion caused by water and chloride ion. Tech-Dry Solid Silane 80 contains 80% octyltriethoxysilane formulated as a water-based non-drip thixotropic cream for reinforced concrete. 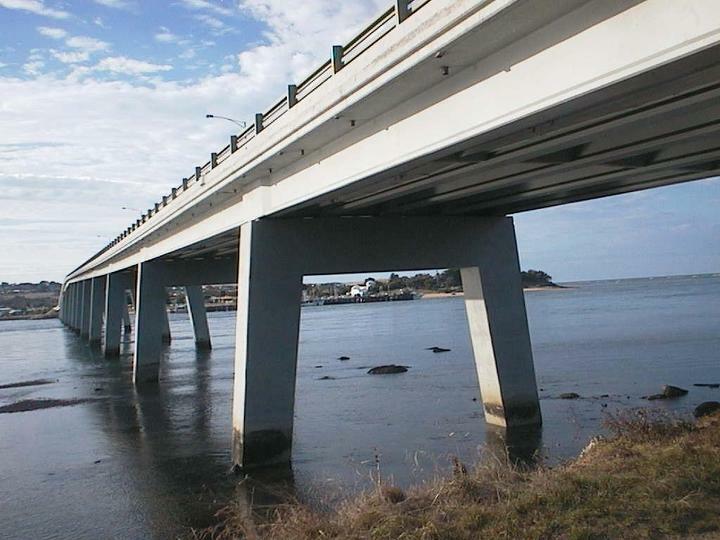 To resist water and chloride ion ingress, Solid Silane 80 is used on reinforced concrete structures such as buildings, wharves and bridges to prevent water and chloride ion-induced reinforcement corrosion. Commonly used liquid silanes are very low viscosity volatile liquids that are difficult to apply in windy or hot conditions. Additionally, two or three individual coats are required to achieve an acceptable penetration depth. 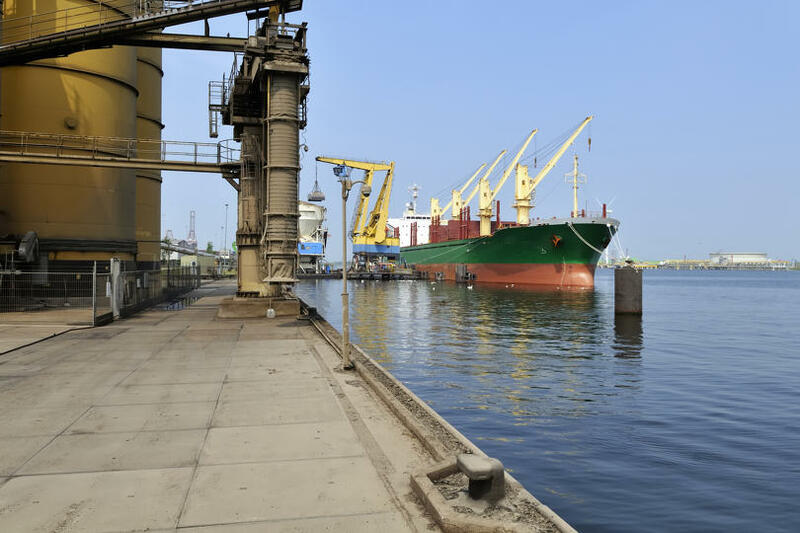 Solid Silane 80 is a new concept that overcomes the problems associated with the use of liquid silanes. Solid Silane 80 is an Alkyltrialkoxy Silane, formulated as a non- drip thixotropic emulsion. Solid Silane 80 can be applied to any surface (overhead, vertical and horizontal) without run off. 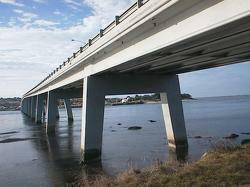 The silane gel remains on the surface for up to 2 hours ensuring deep and even penetration into the concrete. The high penetration depths achieved are due to the low volatility of the silane gel, combined with the long contact time with the surface. Ability to deeply penetrate dense concrete. Does not splash or run off uncontrollably on overhead and vertical surfaces. No pollution of waterways and atmosphere as there is no run off and low evaporation. Easy quality control by measuring the wet film thickness. Permanently bonds to the concrete with no peel or blister. 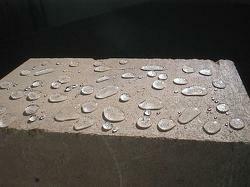 Forms UV, alkali stable and durable hydrophobic zone within the concrete surface. Significantly reduces water penetration and harmful salts such as chloride ions. One coat of Solid Silane will achieve similar penetration depths as several coats of liquid silane; application costs can thus be reduced. Unlike liquid silanes, Solid Silane does not run off surfaces uncontrollably. The material remains on and penetrates into the area it was applied to. This reduce waste and potentially damaging over-spray and contamination of waterways and environment. 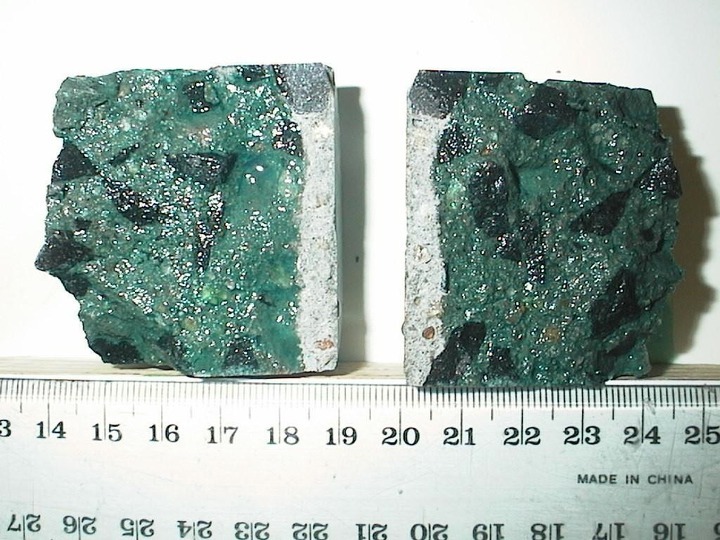 Solid Silane penetrates evenly and deeply into concrete. 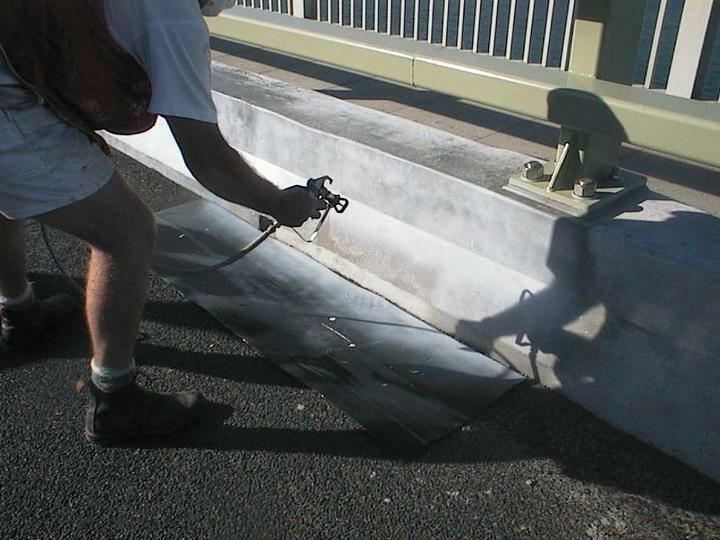 One coat of 500ml/m2 penetrates up to 12mm into 20MPa concrete. The penetration into 50MPa concrete can reach to 5mm. The quality control for on-site application is simplified when using Solid Silane. 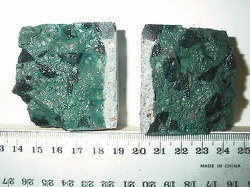 Areas treated with Solid Silane are clearly visible as the product is a lingering white gel. The long contact time enables accurate measurement of the application rate using a film thickness gauge. These reports are available as a pdf download on the left hand side. Available in 20 Litre quantity. Other sizes made to order.